Last week, Connecticut became the latest state to raise its target for the generation of solar, wind and other renewable forms of energy consumed by its residents and businesses. Gov. Dannel Malloy signed Public Act 18-50, which requires that by 2030, 40 percent of the power provided by electricity suppliers in the state flow from renewable sources, double the target for 2020. Malloy also signed Public Act 18-82, which creates a stringent interim greenhouse-gas-reduction goal of 45 percent below 2001 levels by 2030. The state’s 2008 Connecticut Global Warming Solutions Act mandates an 80 percent reduction by 2050. State Renewable Portfolio Standards (RPS) have been a key driver of the development of solar, wind and other zero-emission sources in the United States over the last twenty years. The policies have been responsible for about 50 percent of the growth in renewable energy generation and capacity since 2000, according to the Lawrence Berkeley National Laboratory. Currently, Hawaii has the most aggressive clean-energy mandate in the nation: 100 percent by 2045; followed by Vermont: 75 percent by 2032; and California, New York, and New Jersey, which each have a goal of 50 percent by 2030. New Jersey’s 50 percent mandate was established last month, when Gov. Phil Murphy signed A-3723 — which also sets an interim target of 35 percent by 2025. Murphy signed the renewables bill in tandem with another piece of legislation that will provide subsidies to the state’s nuclear plants through a zero-emission certificate program. Nuclear energy supplies roughly 40 percent of the state’s power and most of its zero-emission energy. The renewables legislation in Connecticut and New Jersey each include a number of other provisions related to the generation and deployment of zero-emission power. Both states seek to move beyond the current approaches for compensating power produced by distributed solar generation. 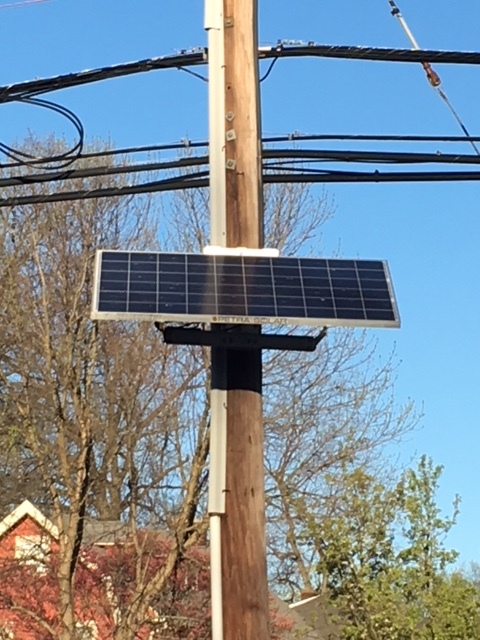 Connecticut’s law eliminates the use of net metering, replacing it over the next few years with either tariffs (rates) that will be determined by the Public Utilities Regulatory Authority (PURA), or with an incentive known as “buy all, sell all,” in which the owner of a solar installation would have to sell all of their power to the grid at a rate that would be set by PURA, and buy back the power they need at the retail rate. Explore how to modify or replace the current incentive program for solar, known as the Solar Renewable Energy Credit program (SREC), in order to reduce the costs of complying with the state’s goals, and continue to encourage the development of new solar generation. Last week, the New Jersey Board of Public Utilities announced that it had approved a proposed rule that will phase out the use of SRECs and facilitate “the development of a sustainable program intended to support the continued growth of new, cost-effective solar generation in the state.” The SREC program will be closed once electric suppliers meet the state’s goal of attaining 5.1 percent of their power from solar generators, and no later than 2021. Both states also seek to advance community solar generation, also known as “shared solar.” The practice enables people in a community who do not have their own solar panels to invest in solar collectively, or to purchase or lease a share of a solar installation. New Jersey’s law requires the Board of Public Utilities to establish the state’s first-ever community solar energy pilot. Connecticut already has a pilot program; its new law replaces it with a broader shared solar program. The New Jersey legislation also gives a boost to efforts to develop offshore wind, which is still nascent in this country but advancing in several East Coast states. Last month, Massachusetts, Rhode Island, and Connecticut announced plans to procure a total of 1.4 gigawatts of ocean-based wind energy by the early 2020s. Plans are underway in Maryland to develop two wind farms in federal waters with output totaling 368 megawatts; and in New York, there is a project to build a 90-megawatt wind farm off the coast of Long Island. Gov. Andrew Cuomo has set a goal of developing 2.4 gigawatts by 2030. The New Jersey law codifies Gov. Phil Murphy’s goal of developing 3.5 gigawatts of offshore wind by 2030, directs regulators to establish a renewable energy certificate program for the generation of offshore wind, revives an expired program to provide tax credits for offshore wind manufacturing activities, and requires a state agency to establish job-training programs for the manufacturing and servicing of offshore wind energy equipment. The New Jersey legislation sets energy-reduction targets starting in 2020; and calls on the Board of Public Utilities adopt energy efficiency and peak demand-reduction programs. Connecticut’s law requires the state’s electric distribution utilities to submit plans to reduce energy use starting in 2020, and to help the state meet its goal of weatherizing 80 percent of residential units by 2030. During the CSG/ERC Annual Meeting this August in Rye Brook, New York, the CSG/ERC Energy & Environment Committee will be hosting a discussion on Monday morning, August 6 to address some of the broader technical and market considerations that policymakers should consider as they encourage large-scale deployment of low-carbon technologies. We will end with a roundtable dialogue, in which members will be invited to comment on the challenges confronting specific proposals in their jurisdictions, and suggest opportunities for regional collaboration. We hope that you will join us. This entry was posted in Climate Change, Energy, Renewables, State Policy, Water Quality. Bookmark the permalink.